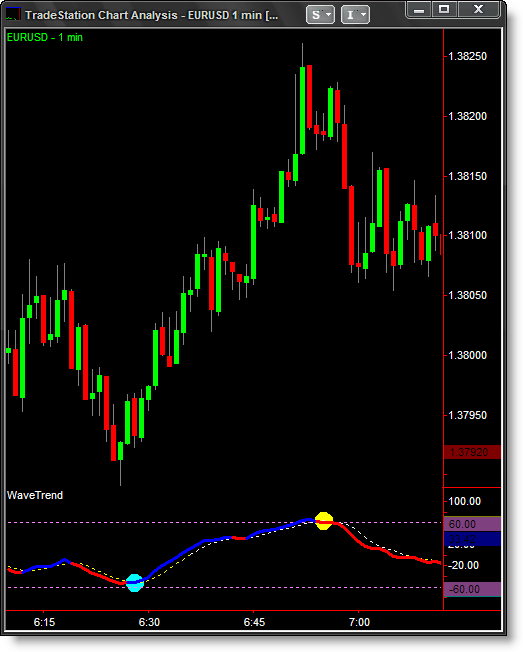 Advanced Notification of our New LEADING Indicators." 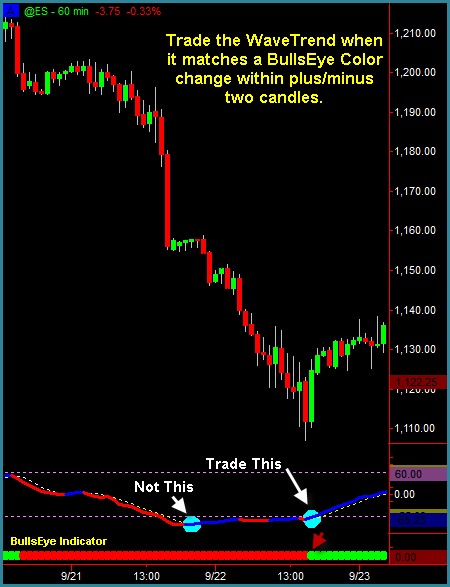 Sure You Have it in Your Trading Arsenal." 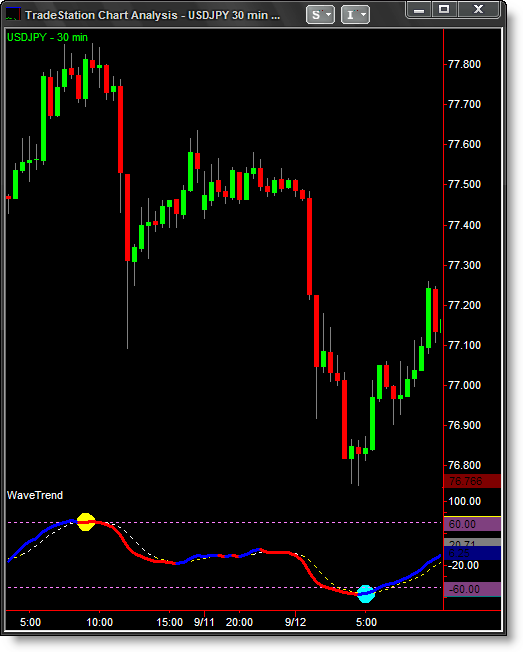 Works in All Time Frames! 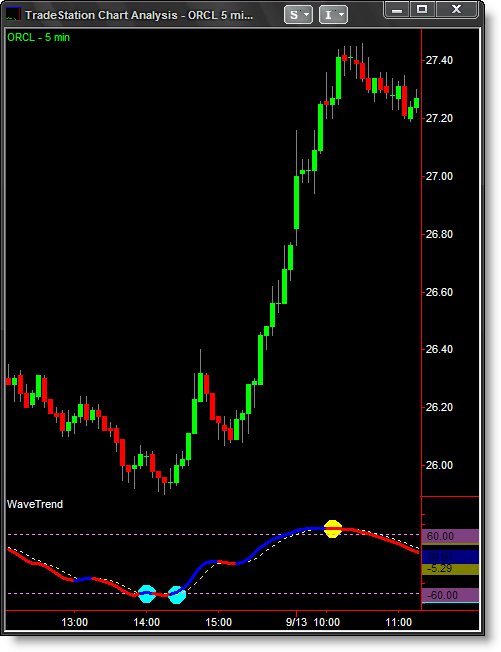 The Above Video was a 240min Chart. 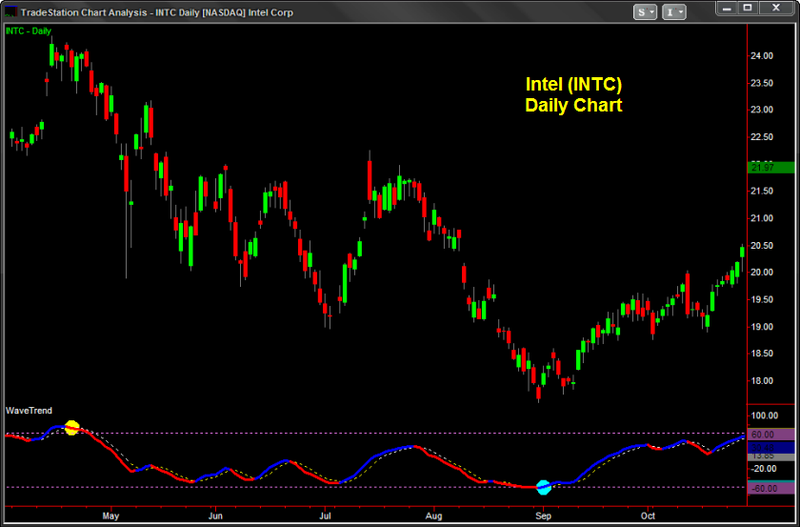 If You Had a Reasonably Good Expectancy of Knowing When the Market Will Turn Before it Happens? Could You Make Money with That? Just the way we Want Them! 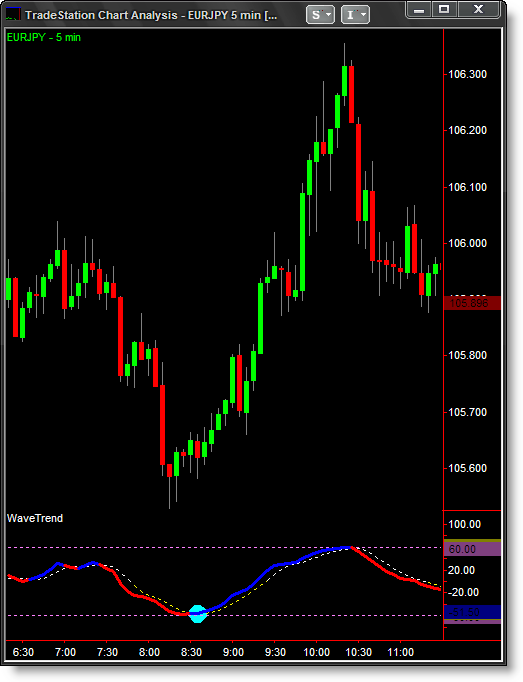 Excellent on Crude Oil, Gold and other commodities! 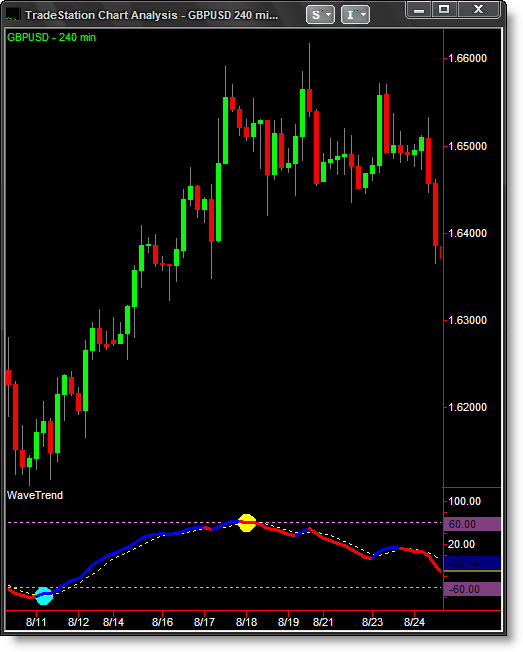 Also works with "Tick", "Volume", "Range" and "Renko" Bars! 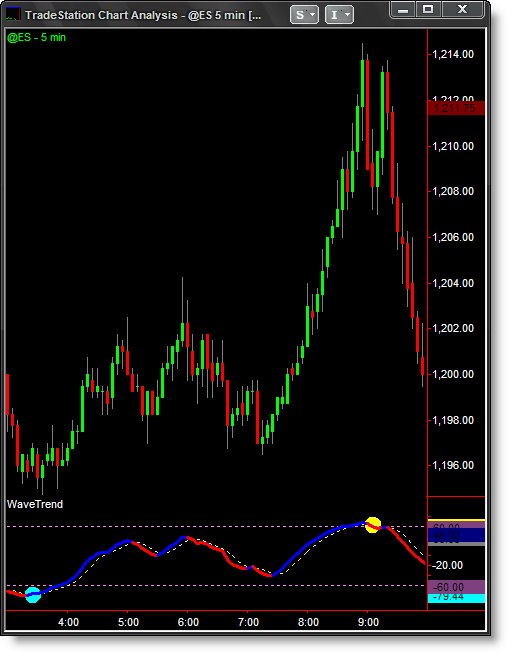 it Can Not Trigger a Signal in Choppy Markets! 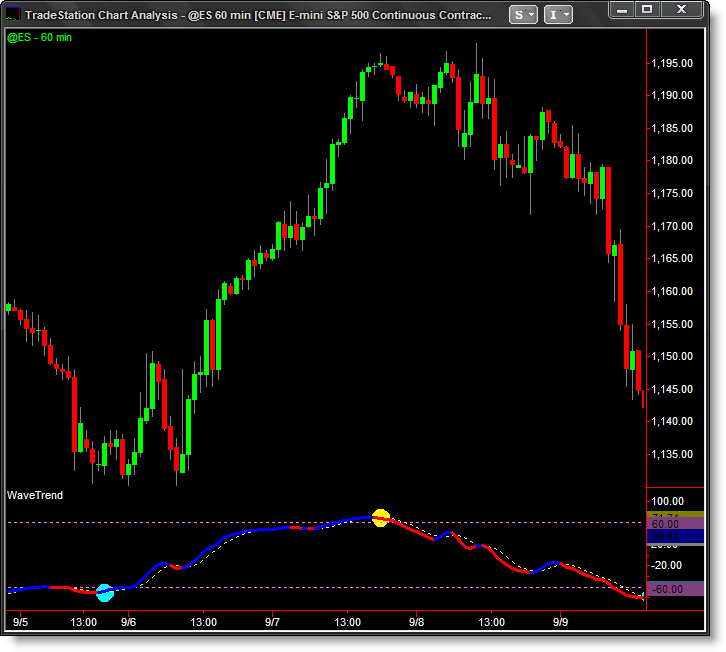 The Video at the Top of this Page was Based on a 240min Chart. 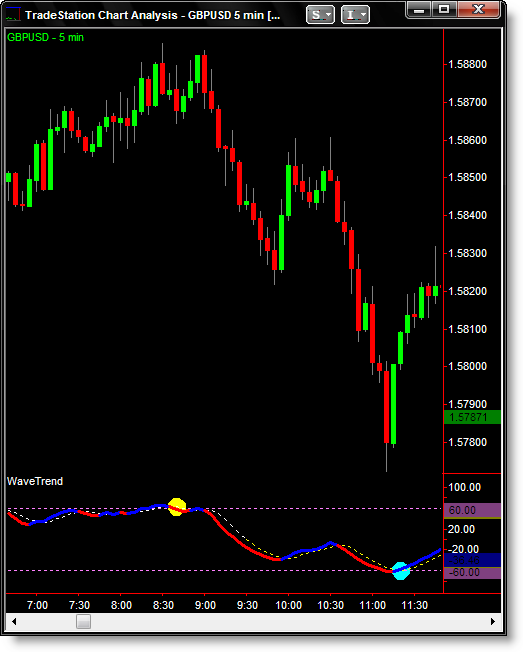 Whether you're a "with-the-trend" or "counter-trend" trader... (or a combination of both like I am), you will find the WaveTrend the perfect trading tool to help you win more trades. 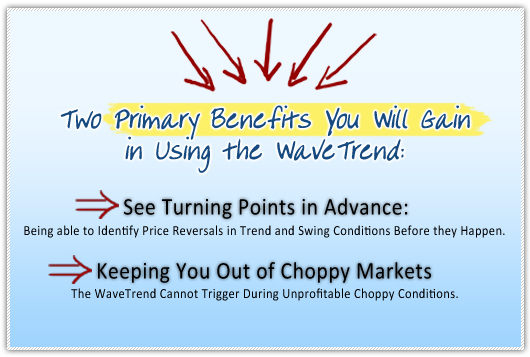 The WaveTrend is ideal in confirming better entries AND exits. 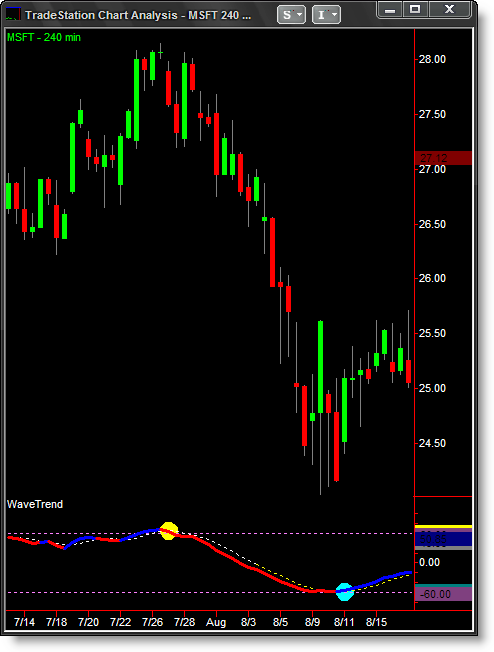 Though there are several methods to use the WaveTrend, continue reading below as I describe my two favorite methods. 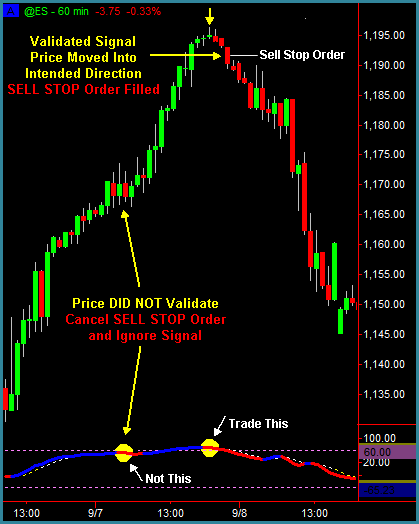 within FIVE candles, we ignore cancel the order and ignore the signal. 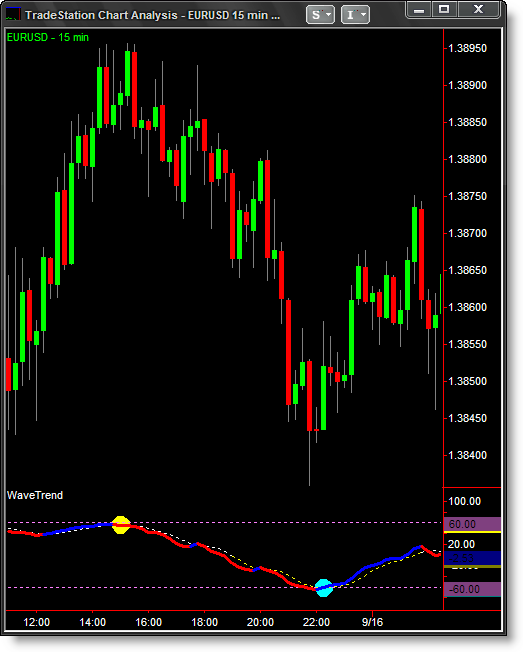 This is my favorite entry due to its nearly 90% accuracy in triggering accurate reversals. 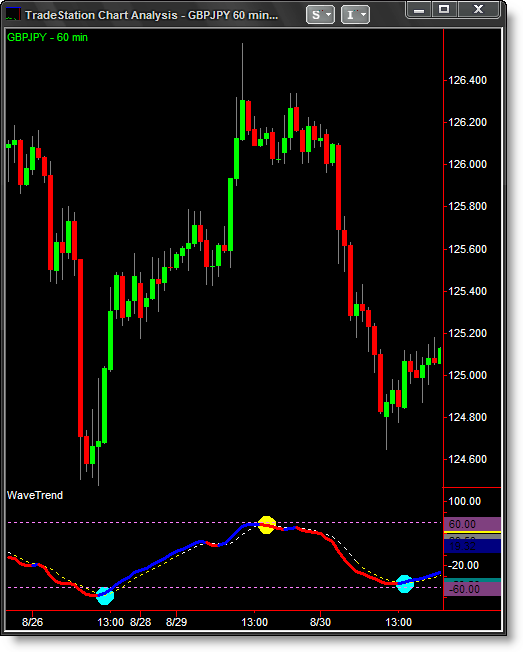 Each WaveTrend Signal is confirmed with a BullsEye color change within +/- two candles. 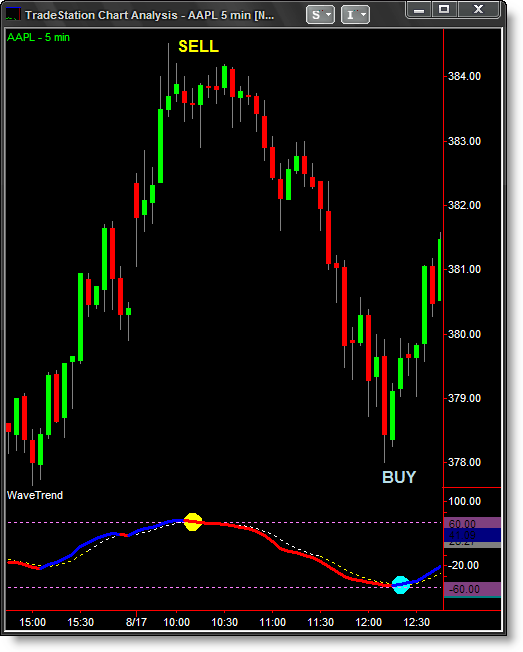 After the BullsEye confirmation, this trade is entered immediately with a Market order. 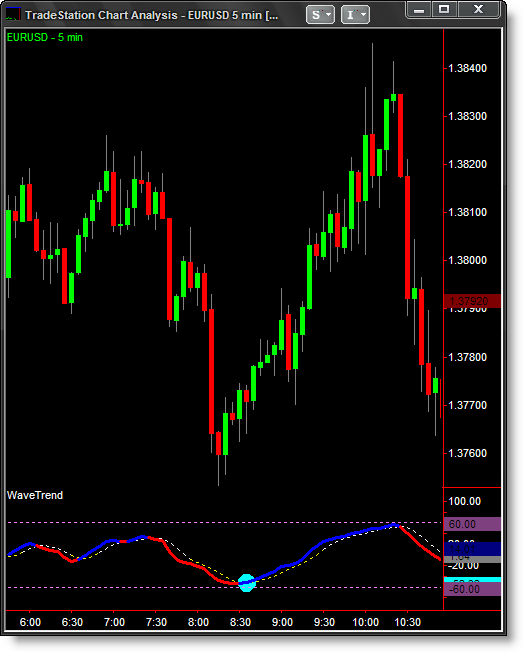 by Adding Additional confirmation of an impending reversal." 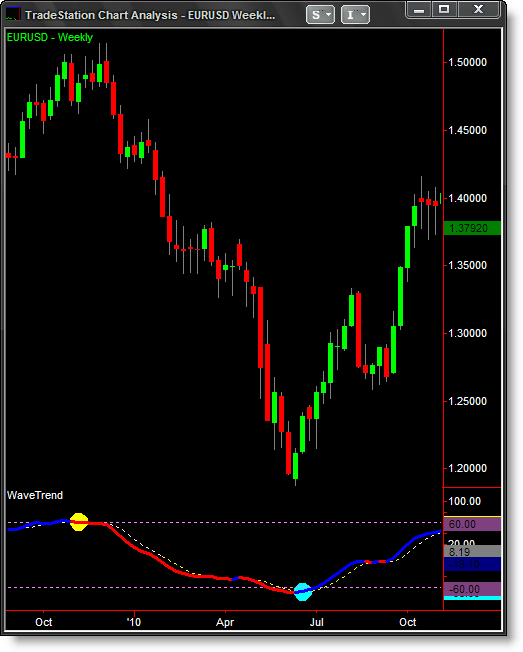 This increased confidence can lower stress and keep you in trades longer for larger profits. 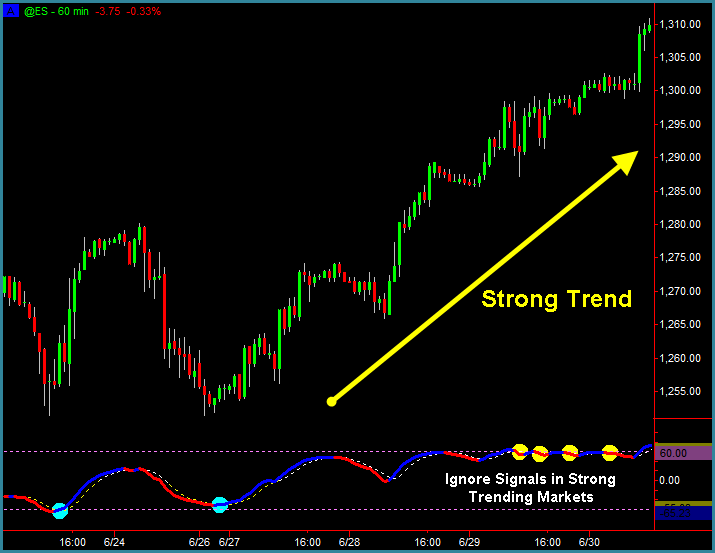 caution with counter-trend considerations during strong markets. 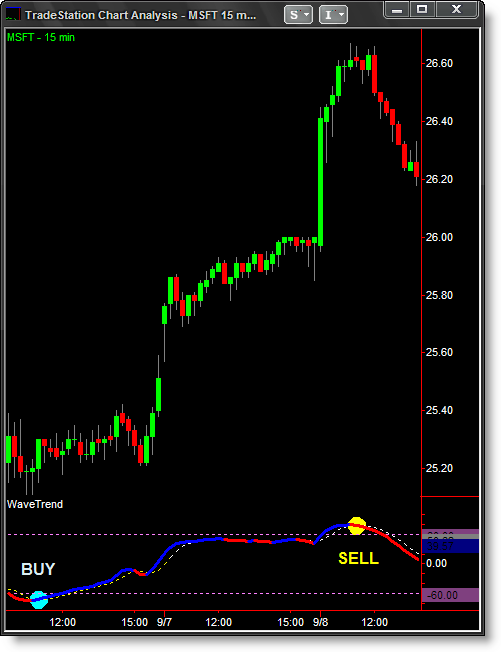 leaving us 80%+ of market conditions where trading reversals is necessary part of this profession. 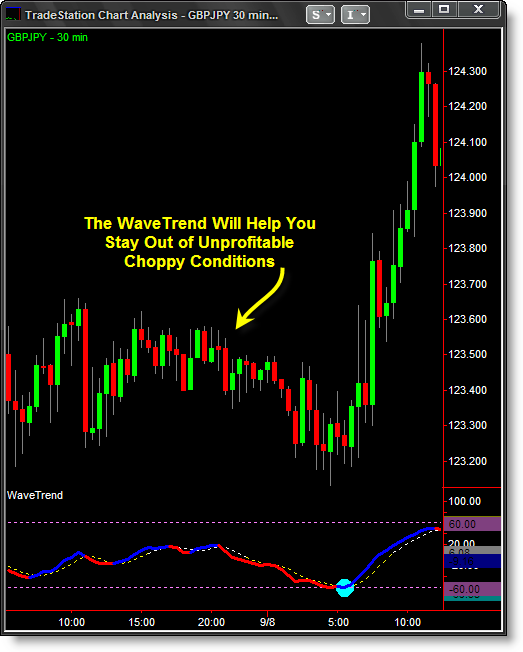 "No Matter Where or What I am Trading, the WaveTrend Runs on All My Charts." 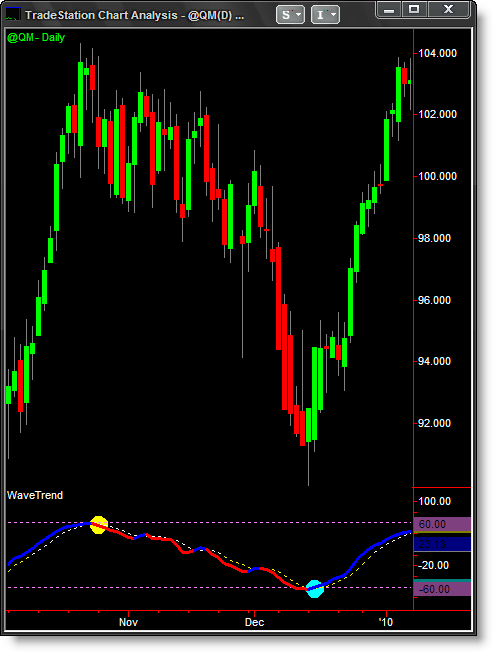 "I Will Not Trade Without the WaveTrend"
the Top of My Arsenal of Top-Performing Indicators." 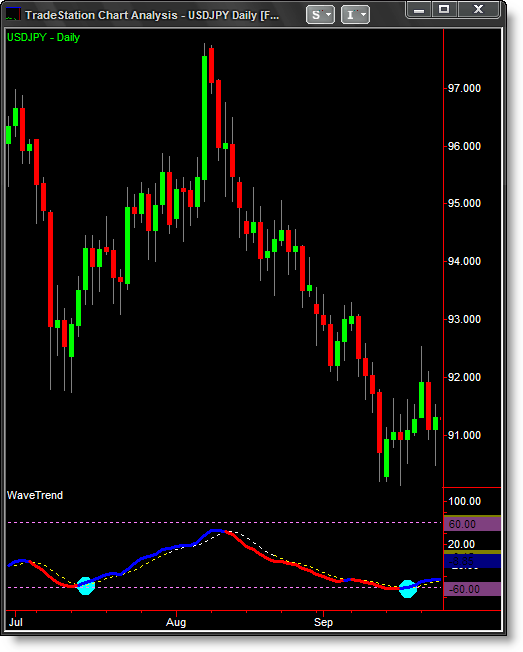 indicators caught EVERY move in CL today." 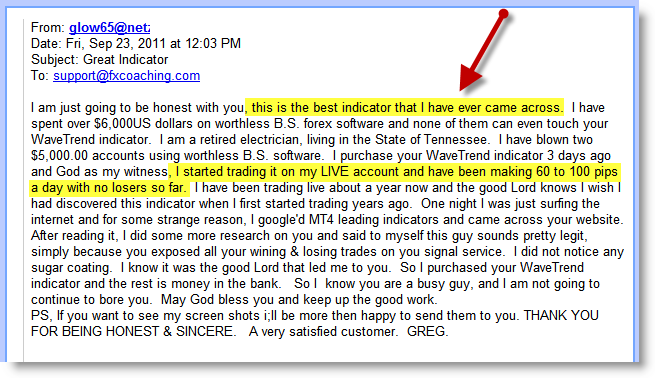 "Thanks a bunch, and you're indicator is great!" 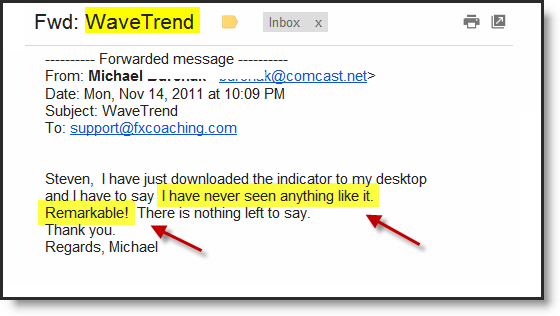 "Quite frankly the Wavetrend has made me alot of money"
"I have never seen anything like it. Remarkable! 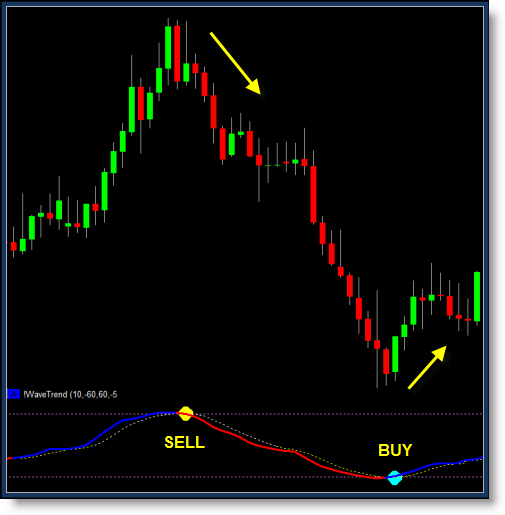 "You have provided me the missing link to perfect my trading system. stem. 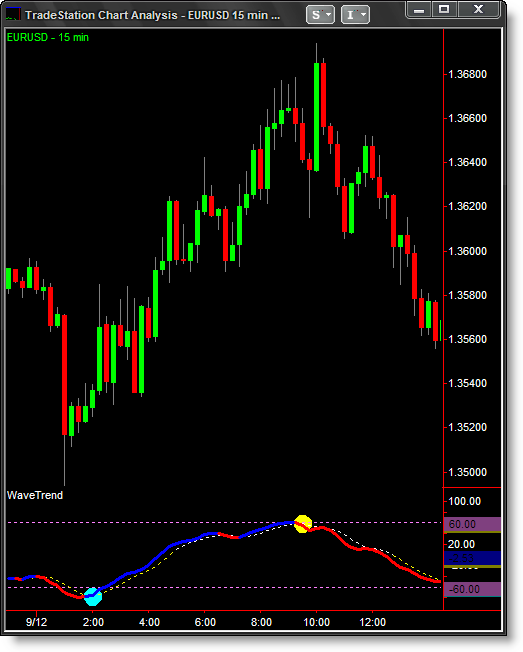 Your indicator works GREAT!! 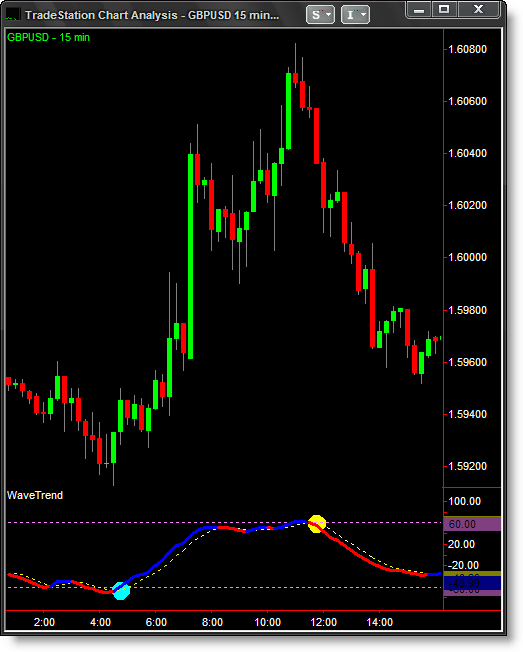 I have already made a killing..."
Have been making 60 to 100 pips a day with no losers so far." 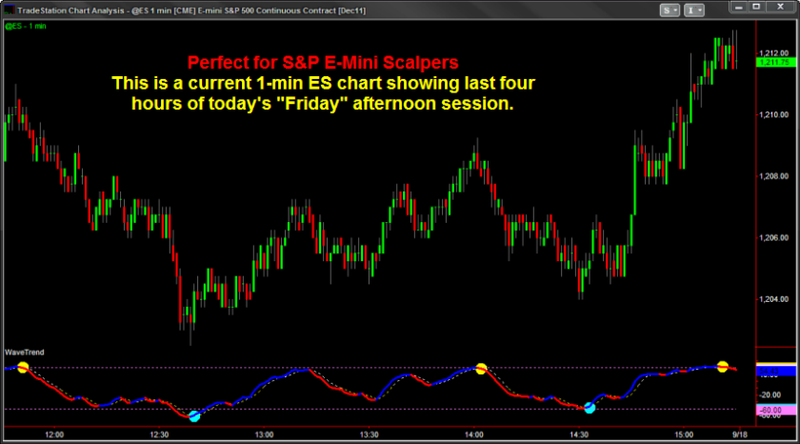 within the first hour of trading with it!" 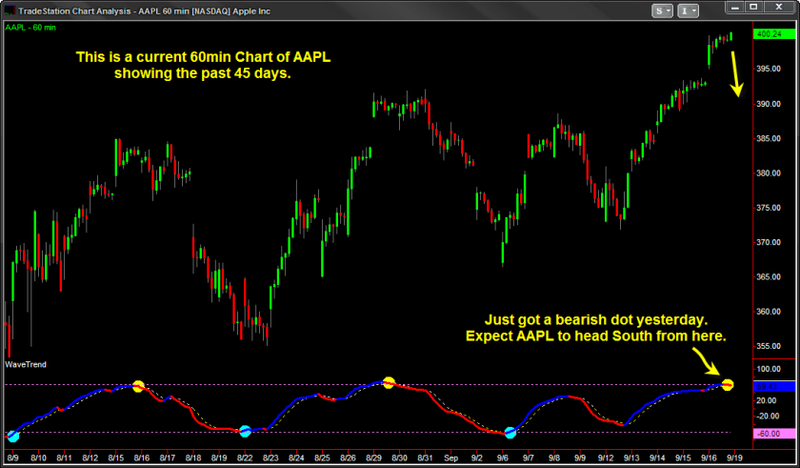 of testing, I can confirm it delivers Great entry signals"